Instantly downloadable sheet music (Musiknoten zum herunterladen und ausdrucken) von Paul Simon for choir and piano (TTBB) of MEDIUM skill level. Instantly downloadable sheet music (Musiknoten zum herunterladen und ausdrucken) von Philip Lawson for choir and piano (TTBB) of MEDIUM skill level. Instantly downloadable sheet music (Musiknoten zum herunterladen und ausdrucken) von Richard Hughes for choir and piano (TTBB) of MEDIUM skill level. Instantly downloadable sheet music (Musiknoten zum herunterladen und ausdrucken) von Stephen Hatfield for choir and piano (TTBB) of MEDIUM skill level. Instantly downloadable sheet music (Musiknoten zum herunterladen und ausdrucken) von Keith Christopher for choir and piano (TTBB) of MEDIUM skill level. Instantly downloadable sheet music (Musiknoten zum herunterladen und ausdrucken) von Mac Huff for choir and piano (TTBB) of MEDIUM skill level. Instantly downloadable sheet music (Musiknoten zum herunterladen und ausdrucken) von John Leavitt for choir and piano (TTBB) of MEDIUM skill level. Instantly downloadable sheet music (Musiknoten zum herunterladen und ausdrucken) von Kirke Mechem for choir and piano (TTBB) of MEDIUM skill level. Instantly downloadable sheet music (Musiknoten zum herunterladen und ausdrucken) von Leslie Bricusse for voice, piano and guitar (TTBB) of MEDIUM skill level. Instantly downloadable sheet music (Musiknoten zum herunterladen und ausdrucken) von Kirby Shaw for choir and piano (TTBB) of MEDIUM skill level. 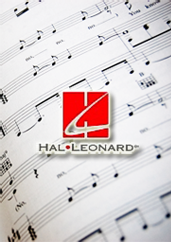 Instantly downloadable sheet music (Musiknoten zum herunterladen und ausdrucken) von Miscellaneous for choir and piano (TTBB) of MEDIUM skill level. Instantly downloadable sheet music (Musiknoten zum herunterladen und ausdrucken) von Jason Mraz for choir and piano (TTBB) of MEDIUM skill level. Instantly downloadable sheet music (Musiknoten zum herunterladen und ausdrucken) von John Lennon for choir and piano (TTBB) of MEDIUM skill level. Instantly downloadable sheet music (Musiknoten zum herunterladen und ausdrucken) von Deke Sharon for choir and piano (TTBB) of MEDIUM skill level.